Check out some of these sunny campuses if you’d like to study arts and humanities at a small school in the Golden State. Harvy Mudd College's engineering program was named second-best in the nation by U.S. News and World Report. If you’ve decided that a small liberal arts school would be a good college match for you (meaning a school that caters to both your academic strengths and your personal preferences), consider attending college in California, home to plenty of great opportunities in higher education. Check out the following seven schools, all of which earned a spot on U.S. News and World Report’s list of the top ten liberal arts colleges in California. Now that you know which schools to apply to, you can begin pursuing an excellent liberal arts education on the idyllic west coast. Known for educating some of the best math and science minds in the country, this tiny school in Claremont has less than 1,000 undergraduate students. These lucky few learn a lot, especially those who are admitted into Harvey Mudd College’s engineering program, named second-best in the nation by U.S. News and World Report. Also located in the charming college town of Claremont, Pomona College earned well-deserved spots on both Kiplinger’s and U.S. News and World Report’s lists of liberal arts colleges that offer the best value. The school, ranked fourth on U.S. News and World Report’s list of top liberal arts colleges in the nation, has a low eight-to-one student-to-faculty ratio and high graduation and freshmen retention rates, all good signs of happy students receiving excellent educations. Centrally located in the city of Los Angeles, Occidental College is known for its diverse population of 2,123 undergrads -- 15 percent are Asian American, 15 percent are Latino, and about 5 percent are African American. One of the school’s most popular majors is international relations, which President Obama declared when he attended Occidental from 1979 to 1981. One of Occidental College's most popular majors is international relations. Claremont McKenna College, named one of the best-value colleges in the country by U.S. News and World Report, has plenty to offer prospective students: a nine-to-one student-to-faculty ratio, a 95 percent freshman retention rate and an average class size of 16. These stats are good indications of an incredibly content student body -- Claremont McKenna has the happiest students in the country, according to The Princeton Review, which also placed the school on its lists of colleges with high qualities of life and students who love their schools. 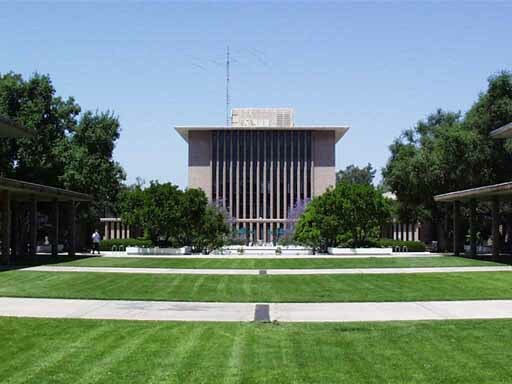 Though Scripps College is technically an all-women’s school, its spot in the Claremont University Consortium, which also includes Claremont McKenna College, Harvey Mudd College, Pitzer College and Pomona College (all of which can be spotted on this list) ensures that students mingle with nearby co-eds. Named a best-value college by U.S. News and World Report, Scripps College is known for having one of the country’s most beautiful campuses and best college dorms. With only 370 undergraduates enrolled, Thomas Aquinas College, set in rural Santa Paula, takes the phrase “small school” to a whole new level. Praised by U.S. News and World Report for offering one of the best values in liberal arts education in California (tuition and fees accumulate to a relatively low $22,400 a year), this school is particularly known for being the only Catholic college in the country that teaches exclusively from the Great Books, meaning that syllabi surround works that laid the foundation for western culture (think authors like Homer, Shakespeare and Plato). Thomas Aquinas College is particularly known for being the only Catholic college in the country that teaches exclusively from the "Great Books." Pitzer College is known for having a small but fiercely liberal student body: The school consistently ranks on The Princeton Review’s Most Liberal Students, Least Religious Students, LGBT-Friendly and Birkenstock-Wearing, Tree-Hugging, Clove-Smoking Vegetarians lists. It comes as no surprise, then, that environmental studies ranks among the school’s most popular majors.